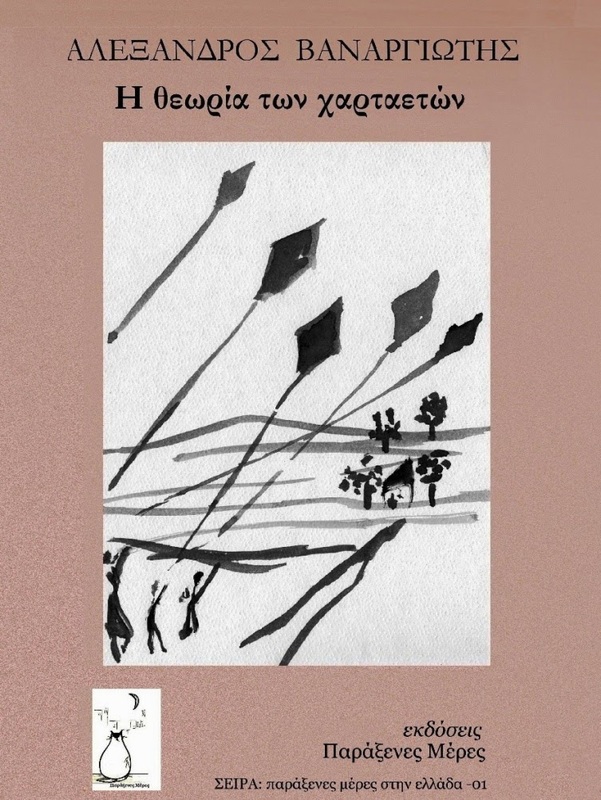 GREEK EDITION: ΛΙΓΟ ΠΡΙΝ ΧΑΘΕΙ ΕΝΤΕΛΩΣ…. We kept up our relationship by phone and the occasional weekend together. Then, during one visit ten months after his first, Teddy asked me to marry him. I said yes without hesitation. I left the city and moved back home and in with him. Things felt right. We bought our house and fixed it up. I started working for a local advertising and marketing firm. After we were married awhile, we started trying for a baby. It took me six months to get pregnant with Cal. My parents came back and stayed with us for a few weeks after he was born. My mother helped me figure out diapers and feedings. I struggled. “It doesn’t just come so easy, like people think,” she said to me. «I think each of my stories represents a character who is out on an emotional edge. Editors have sometimes characterized the stories as sad, but I just don’t see that. I think my characters are weighted down emotionally and need to make decisions about who they are and their future directions. The stories are pretty much my perspective on what it means to be human and to struggle with things like love and grief and the day to day life that occurs between our births and our deaths’». Cara Long’s short stories have appeared in a number of small presses, including: Whiskey Paper, Johnny America and Smokelong Quarterly. Partly Gone is her first collection of stories. Cara lives in Albany, NY, the capital of New York State. A noted literary editor once wrote that every good short story should begin with this basic premise: something happened to somebody. So what happens to the people in the stories that comprise Make Me Go in Circles? One pre-adolescent boy has to decide if he should stand up for a friend who is faced with public humiliation; a teenager is rattled when his girlfriend’s personality seems to change after a tragedy; a man contending with internal transformations writes cryptic notes and leaves them in public places for strangers to find and read them; songwriters are in for some surprises when they leave the city for the seclusion of country life. Written in the tradition of classic short stories and set in modern times, Brian Greene’s tales of longing, exploration, and discovery look at what happens to people when they wander into the life episodes that will show who they really are. Gwil James Thomas was born in Bristol, England in 1987. He is a writer of short stories, essays and a novel. He first developed an interest in literature after reading John Steinbeck’s Of Mice and Men in an English class in school. However, it was after leaving education at 19 and entering the world of full time employment that he first felt compelled to write – jotting down notes on anything he could find from sick bags to napkins. Hunched over a typewriter, the notes would later develop into a novel called Captains of Sinking Ships. Since then Gwil has contributed work to a variety of publications online and in print. Halfway to Nowhere is his first collection of short stories. Gwil hopes to continue writing until he has nothing left to say and can quit and leave it behind. Simple, intimate stories, written with tenderness and nostalgia as well as some which belong to the genre of fantastic literature. Stories from «next door”, familiar therefore intimate, but also very unlike any common “nostalgic” narrations, through the unique writing of a contemporary writer. Alexandros Vanargiotis was born in Trikala, Thessaly, Greece in 1966. 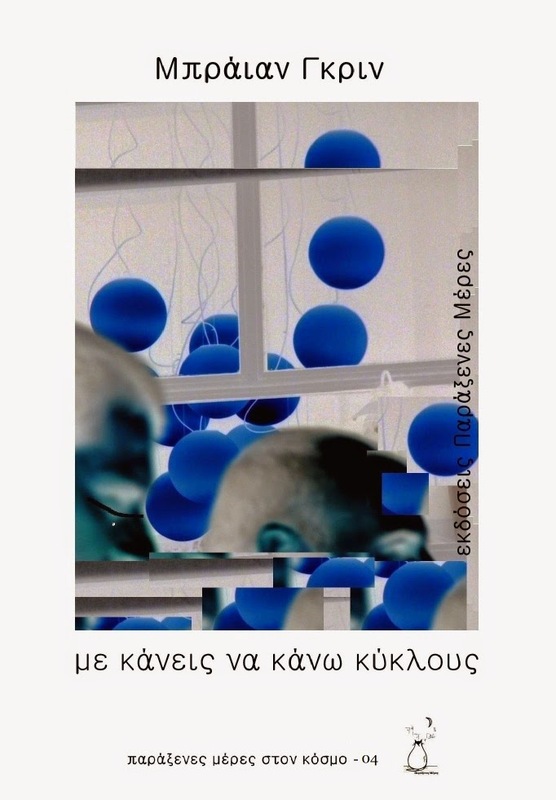 He studied philology in the University of Ioannina and started working as a professor in the Public Middle Education. His short stories and poems have been published in the magazines “Planodion”. “Mpilieto”, “Enteyktirio”, “Oropedio”. “Pandora”, “Grafi”, “Mandragoras” and “Raporto”. His first book was published in 2009 under the title “Short stories for the end of the day”. A big group of friends, an entire era, with its beautiful days, the hopes that remained alive and the dreams that got lost at a sharp turn on the way to “maturity”. The beautiful days, the sad days, the strange days. 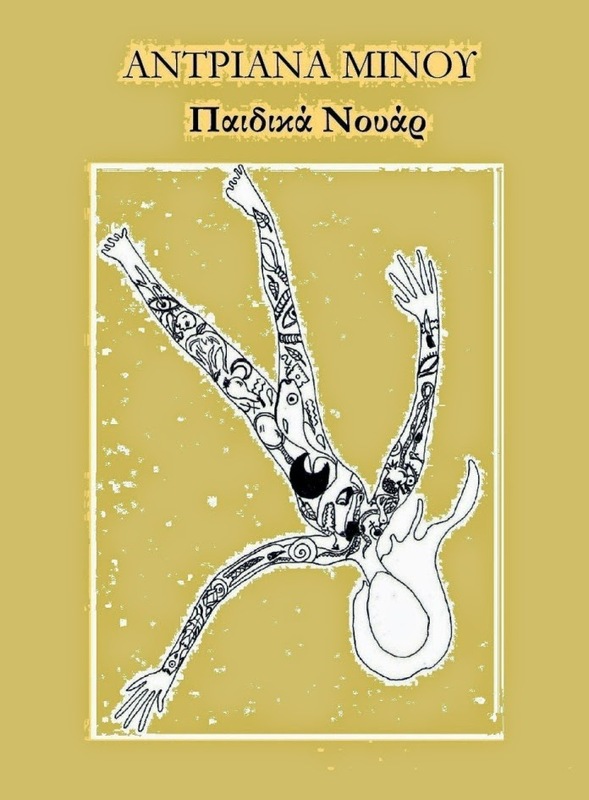 They are our own days, through the narration of a writer who glances at the recent past but narrates with a style that surely belongs to the future of Greek literature. Mileva Anastasiadou was born in 1973 in Athens. She is a doctor (a neurologist) and she is lately writing stories. Her first novel “Bubblegum and fairy dust” acclaimed praise from the Panhellelic Writer Association. Her short story “Apolis” was distinguished in the competition of the publishing house “Ars Nocturna” and two other short stories of her have been published in anthologies. In addition, in 2013 the short stories collection was published under the title “Towards the end”. On the pages of this book, two people are trying to have a conversation. We do not know their names, nor their gender; what matters is their attempt to have an essential dialogue. The effort to converse, which prevails throughout “Conversing”, is an effort for love between two people, but also the need to find an interlocutor and companion in life. What is at stake for the protagonists of the book is whether they will achieve this. 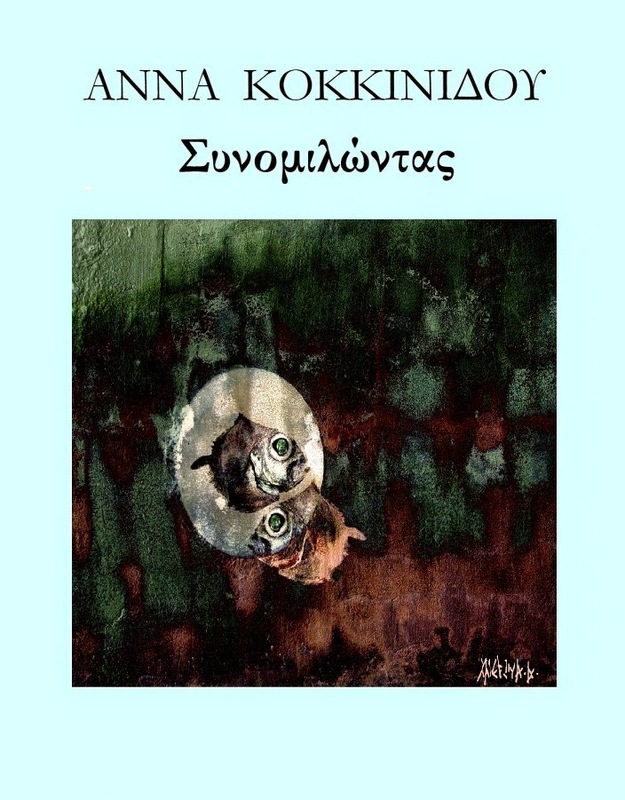 Anna Kokkinidou was born in Thessaloniki, studied law, English and French literature in the University of that city and she completed a Postgraduate in translation in Corfu. 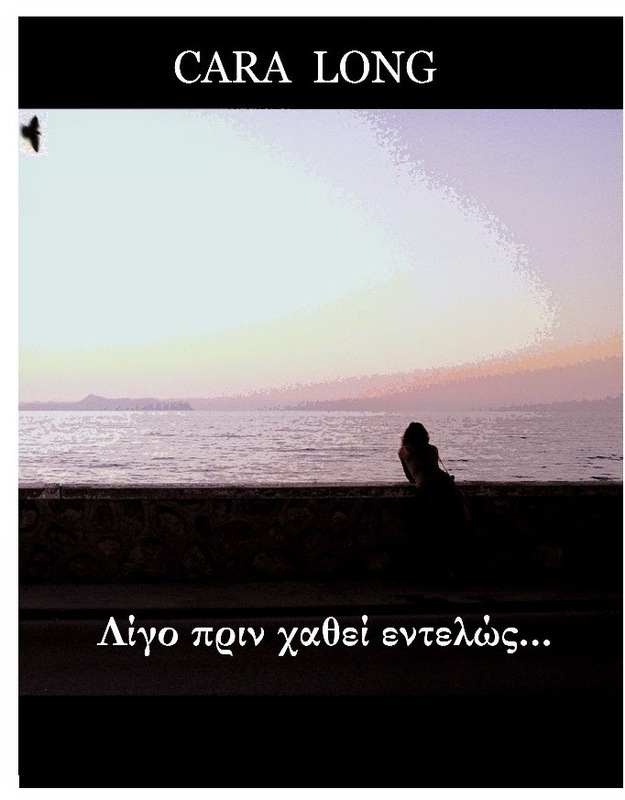 She has been working in the Greek Language Centre for years. “Conversing” is her second book. Paradoxical, funny, tender, subversive, foulmouthed, melancholic, cynical, romantic, provocative… Underage Noirs are many stories and only one story; a variety of narrating styles and only one, really unique narrating style. Underage Noirs might be chidren’s stories written for grownups, or perhaps stories which are totally inappropriate for grownups. One thing is certain, though: Underage Noirs is nothing like anything you have read until now! Adriana Minou was born in 1982. 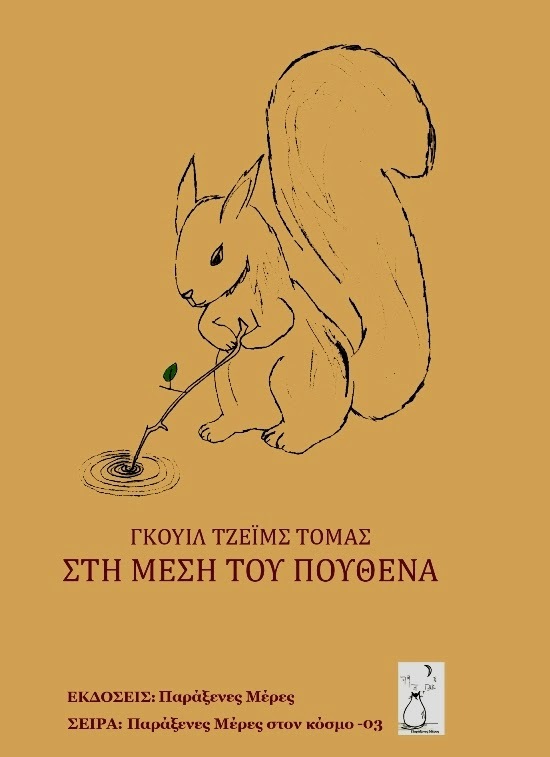 She has been awarded in pan-Hellenic literature contests. Her texts have been published in Greek and English literary magazines. She has been living and working as a musician in London since 2004. She has participated in concerts and shows as a pianist, performer, writer and scriptwriter, librettist, lyricist and director in many countries in the world. She is an active founding member of the music ensembles Vladimir & Estragon Piano Duo and Oiseaux Bizarres Ensemble.